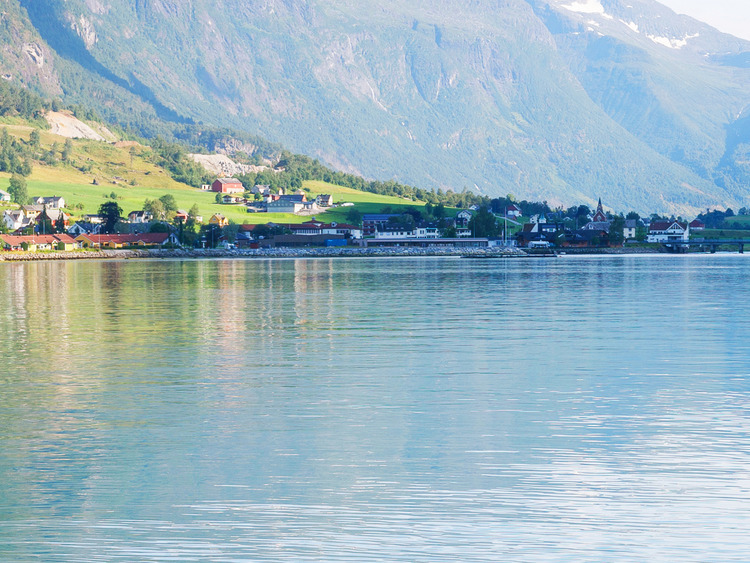 A panoramic tour that takes us from the splendid waterfalls of Hellsylt to the Geirangerfjord - a UNESCO site - across many villages, rivers and lakes immersed in pristine natural scenery. We begin our excursion by visiting the waterfalls in the village of Hellesylt, which drop directly into the fjord. We continue on through the counties of Moere og Romsdal and Sogn og Fjordane and, after 45 minutes, we will reach Europe's deepest lake: the Hornindalsvanet (514 m). Our next stop is at the famous and magnificent Nordfjord, which we skirt all the way to Stryn. Here we will take a break and enjoy a little free time. We continue along the river Stryn, which is famous for its salmon fishing, and pass the lake of the same name before reaching Hjelle. We then follow the twists and turns of the old Gamle Strynefjellsvegen mountain road to Jolbrua bridge and along the Stryn, a river of glacial origin that is protected by the 1993 law for the continuation of the programme for natural resources. A little history: completed in 1894, Gamle Strynefjellsvegen is an engineering work of art and a piece of Norwegian natural history, given that it was the only link between Skjåk and Stryn during the best part of the last century. Today it is a national tourist route. The trip continues on to Djupvasshytta and the panoramic view point of the Dalsnibba, 1500 metres above sea level, which rewards us with a breathtaking view: glaciers, snow-capped mountains, lakes and far off, at the bottom of the Geirangerfjord, our ship. Having feasted our eyes on one Europe's most magnificent natural landscapes, we will begin our return trip and reach Djupvatn Lake and Mt Dalsnibba. Our last stop is Flydal Gorge, before arriving Geiranger and the ship. For safety reasons, if the road to Mount Dalsnibba is closed or covered by snow, an alternative panoramic view point will be suggested depending on weather conditions. Participants will rejoin the ship at Geiranger.